Hello blogger friends! I recently came back from my European trip and I look forward to sharing it with all of you on here and on Instagram. 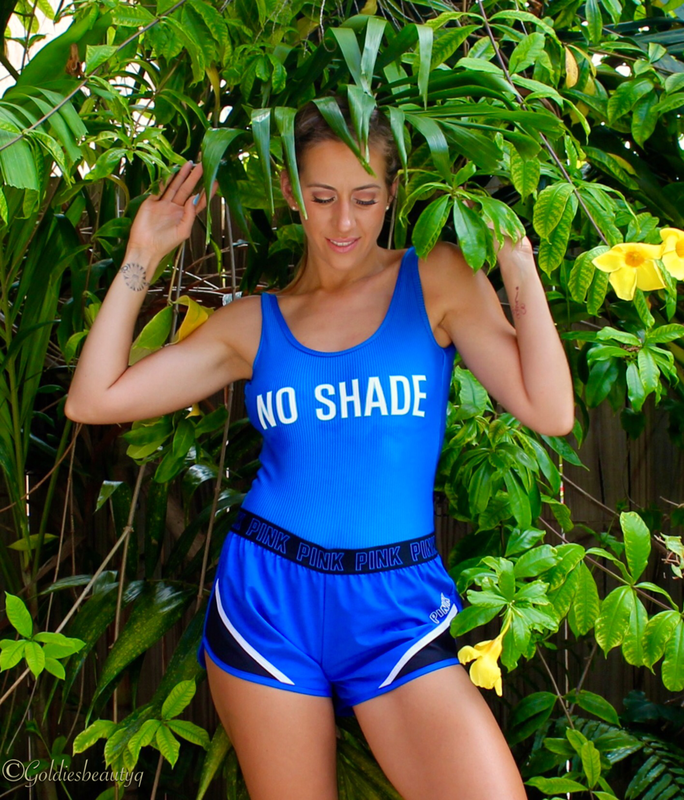 So for this look, I wore this hot bodysuit in cobalt blue with the text “NO SHADE” written across the chest. I purchased this during Spring Break in hopes of shooting this look on my trip in Marco Island, but the weather was pretty grim so I had to improvise. I also, paired this bodysuit with these adorable dolphin shorts from VS Pink and they were a bargain! ($12 I think) Sadly, they sold out of all the adorable colors or at least online they did. As for my socks, I wanted to keep things flowing with text and blue color scheme. Lastly, I wanted to stick with a water sport/athletic beachwear style, with that being said I complemented this outfit with gray canvas Vans. I really wish everyone a lovely summer. Hopefully it has been wonderful and memorable. Till next time!